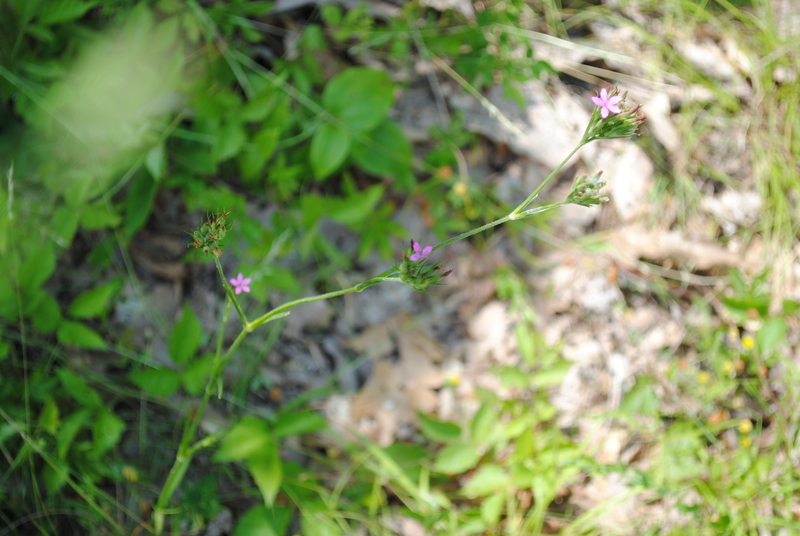 Though many plant species are in bloom this time of year, you may have noticed one particularly imposing species that has seemingly taken over lowland areas, mowed hill sides, and roadways. 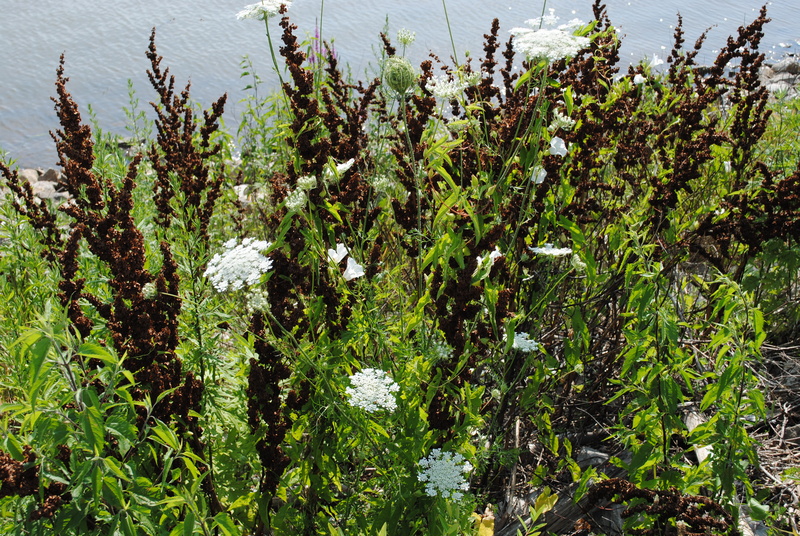 Showy sprays of small white flowers along the branches of this plant make it easy to recognize from a distance. 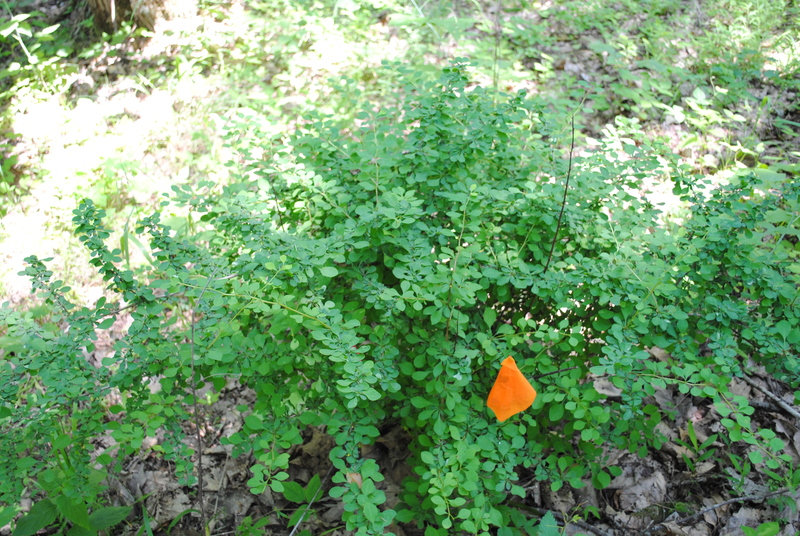 Not to mention that it is a robust perennial herb that grows in dense patches, often to a height of 3-12 feet. 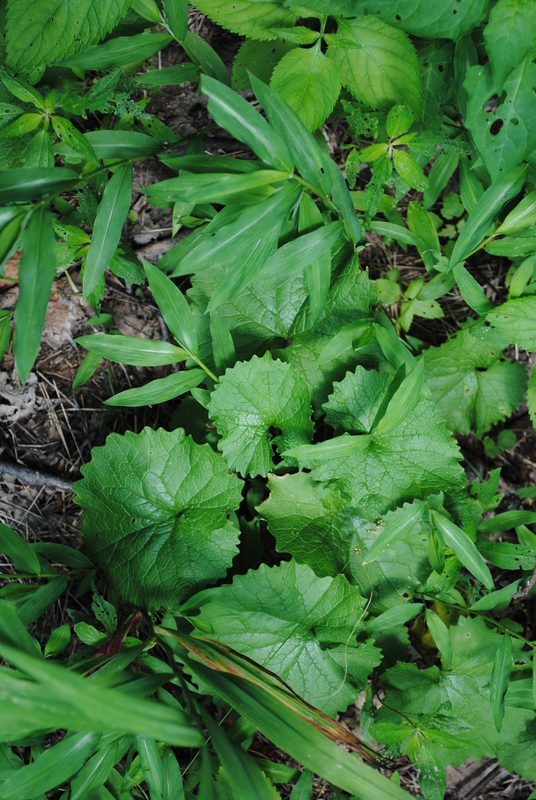 Although this plant’s name may make you think otherwise, Japanese k”not”weed is a weed! 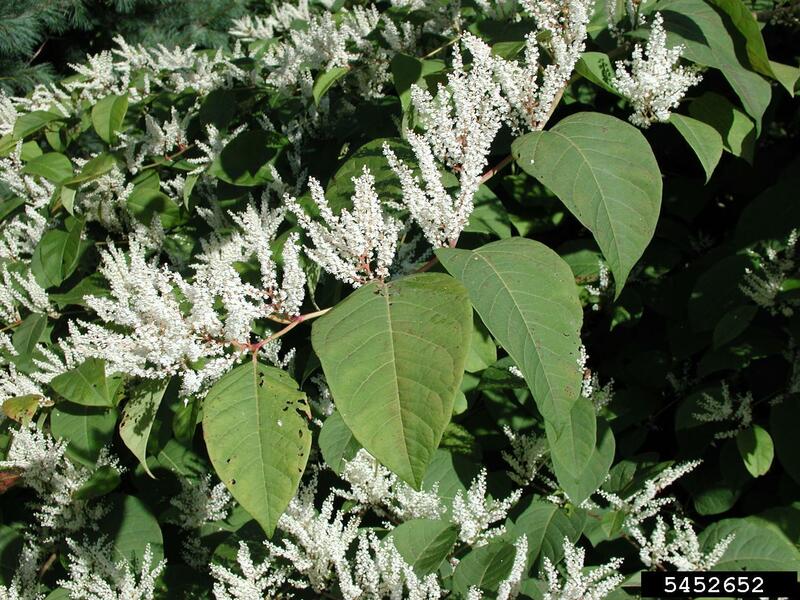 Japanese knotweed (Polygonum cuspidatum) was introduced to the United States, from Asia, in the 1800s as an ornamental plant where it had been used for erosion control and landscape screening. 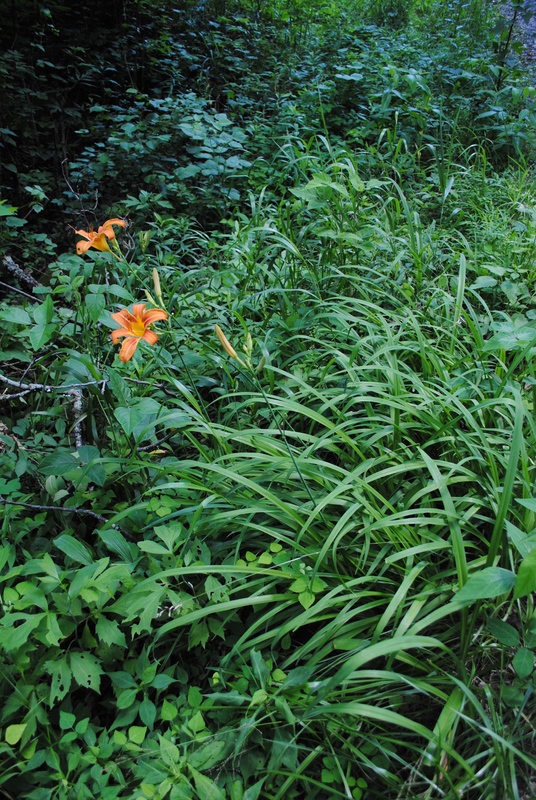 However, the tall, dense growth habit of this plant species drastically alters the landscape by out-competing other vegetation, which decreases available food and habitat for wildlife. 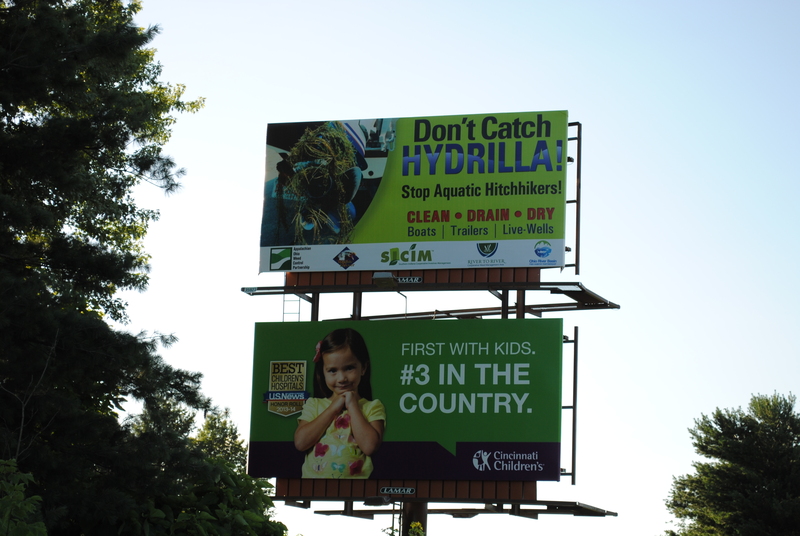 It can also interfere with water drainage, degrade pastures, and cause structural damage by sprouting through nearby pavement and foundations. During the dormant season, infested areas become covered in a dense mat of dried stems that create a fire hazard. 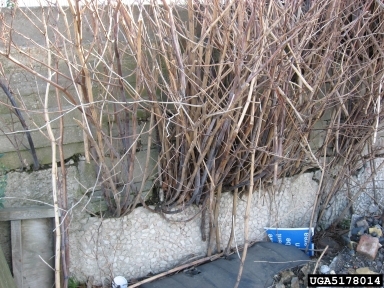 Japanese knotweed tolerates a variety of ecological conditions but prefers wet soil in low places along streams and rivers. 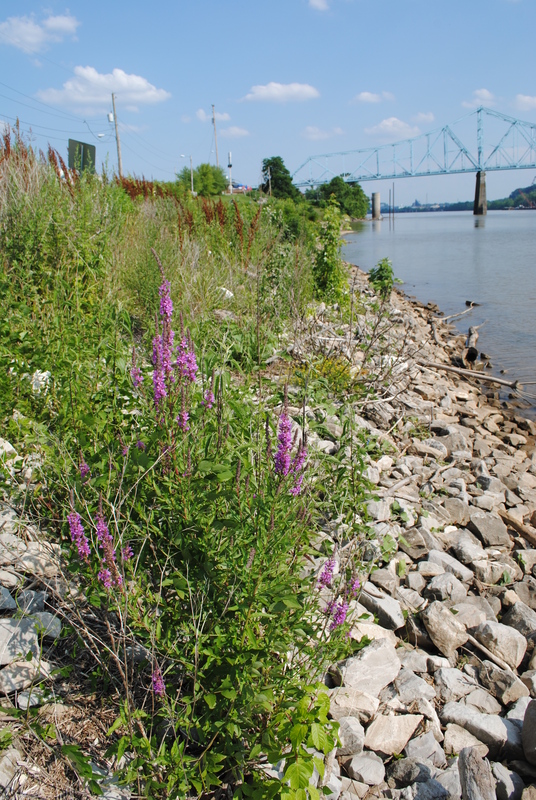 It aggressively spreads by rhizomatous roots and stem fragments that are transported by stream bank erosion, through mechanical treatment efforts, such as mowing, and by rhizome contaminated fill dirt. 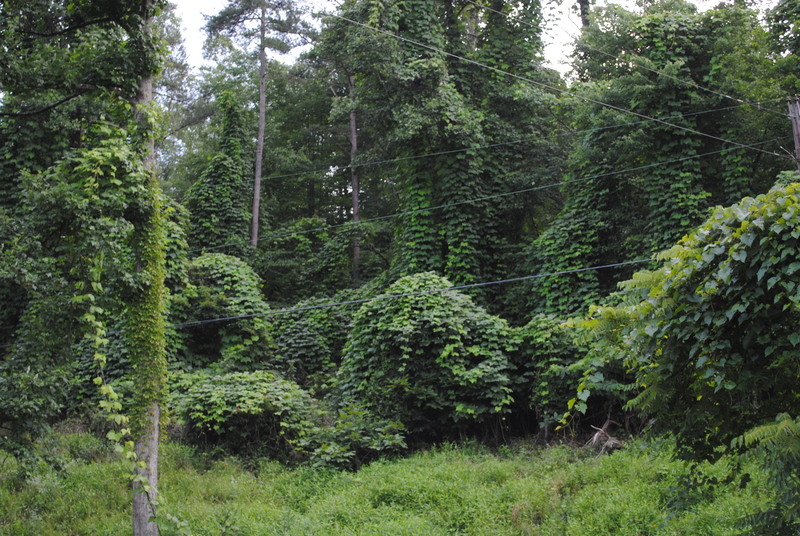 Once established, Japanese knotweed is extremely difficult to control; so, it is important for landowners to detect new infestations early and begin treatment right away. Identification of Japanese knotweed is easy this time of year because of the showy white sprigs of small flowers. 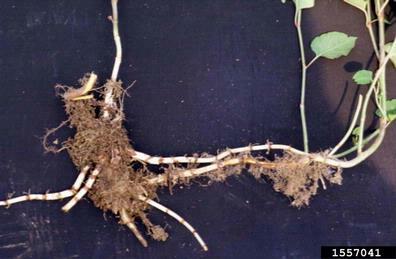 Stems are reddish, hollow, and jointed at a swollen node. 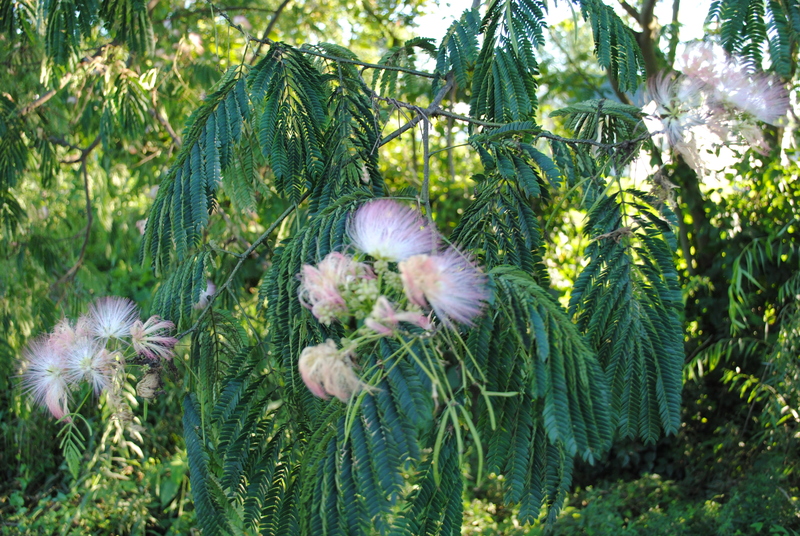 The leaves are 6 inches long, broad and oval-shaped with a pointed tip. 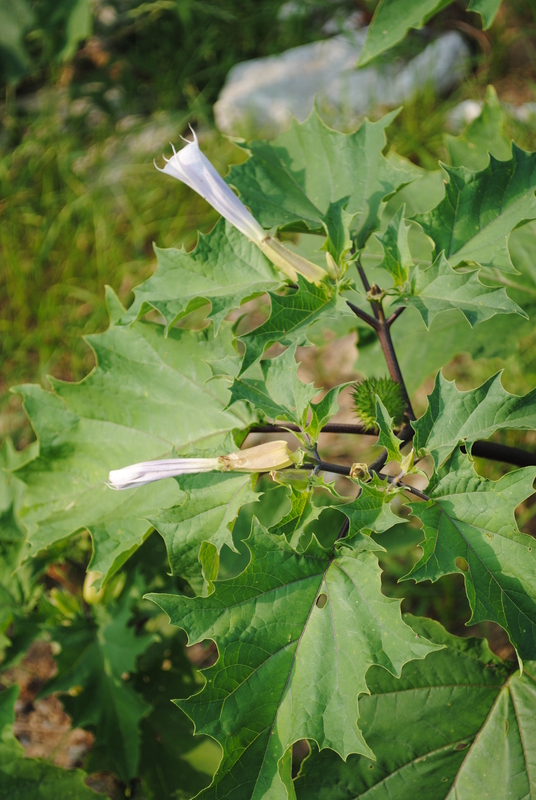 They are alternately attached to the stem, which dies back each fall, growing a new stem the next year. 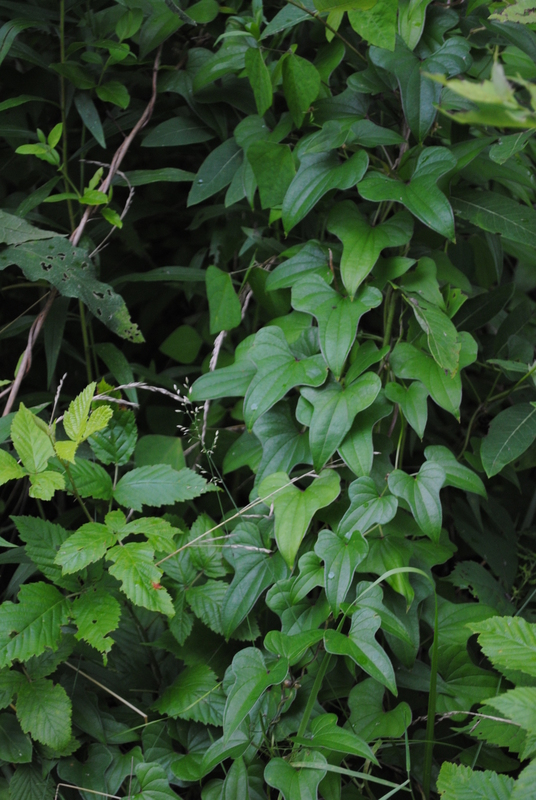 Another knotweed species, giant knotweed (Polygonum sachalinense), is known to occur in our area and can hybridize with Japanese knotweed to form, Bohemian knotweed (Polygonum x bohemicum). 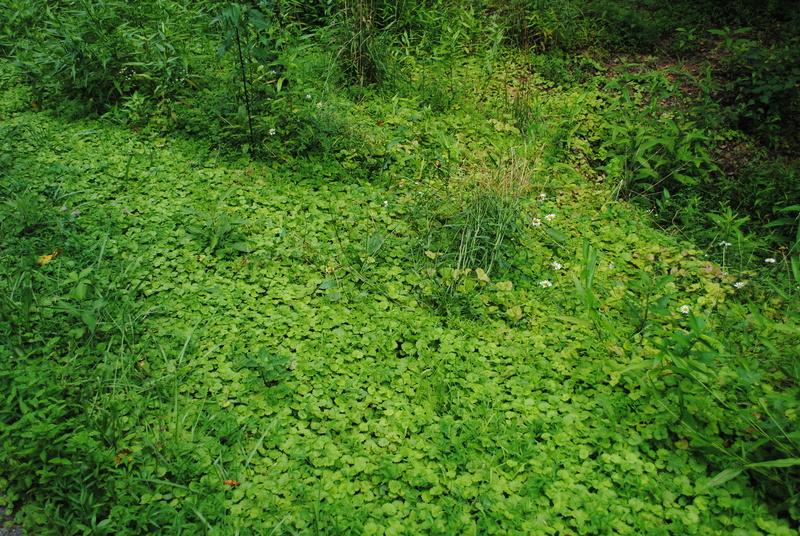 Both giant knotweed and Bohemian knotweed are similar in appearance to Japanese knotweed.